Aspens supply Stoke Lodge Primary's school meals. They specialise in providing catering to schools across the country and are passionate about providing a well-balanced diet that will maintain and improve health and also set children on the right track for later life. All children must be registered with Aspens - including children in Reception, Year 1 and Year 2 who are entitled to Universal Free School Meals and all children who are entitled to Free School Meals. To register your child, log on to www.aspens-services.co.uk (School Meal Payment) and use Stoke Lodge Primary School's unique reference number - 481164. To view the menu, download the Aspens App on a mobile device and use the number 92834517. Please note that no payments can be made via the app - they must be made via the Aspens website. For any questions, please phone the Aspens team on 01905 759613 or email them on www.aspens-services.co.uk (contact us). Our Menu at Your Fingertips!! Meals are prepared freshly every day in our school kitchen. The children choose and order their lunches at the start of the school day. 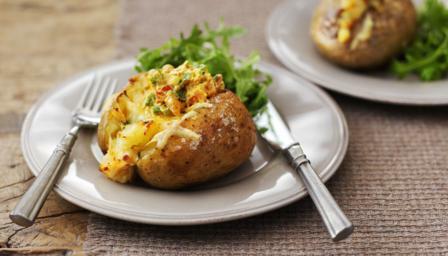 They have a choice of either a hot cooked meal, jacket potato with a variety of fillings or a school packed lunch. Meals are offered free of charge for Key Stage 1 children (Reception - Year 2). The cost of a meal for Key Stage 2 children (Year 3 - Year 6) is £2.00 per day. All monies should be paid online through Aspens, our catering suppliers. Please note that the cost of a school meal from September 2017 will rise to £2.20 per child per day. Our school has National Healthy School Status. We encourage pupils to make healthy food choices and to understand the benefits of participating in physical activity. We promote a positive attitude to healthy eating and knowledge of how a balanced diet is essential for a healthy lifestyle. School milk is provided free to every child until their fifth birthday. If you would like your child to carry on receiving milk, please click on the link below, download the form and send it to or phone School Milk Services on 01934 510950. The school is part of the National Fruit Scheme which provides a daily piece of fruit for every child in Foundation Stage and KS1. We also run a 'Fruity Friday' scheme whereby, for a yearly charge, children are helped to a cup of fruit on Friday. To encourage healthy eating and develop taste buds, we offer a variety of fruit each week. We do not allow children to bring sweets into school for any reason. Please do not send sweets to school to celebrate birthdays or holidays as we will simply return them. Chocolate and sweets should not be included in a packed lunch. We prefer all children to drink water only in school (from the fountain or their own water bottles).